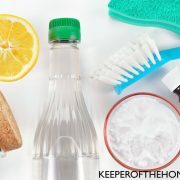 As you’re beginning your journey toward more green and natural living, one surprising thing you will most likely encounter early on is the truth about the dangerous chemicals and toxins lurking in the personal care and beauty products you use every single day. This knowledge can be somewhat shocking and overwhelming at first. I know it was for me! It was hard for me to wrap my mind around the fact that the government in the United States really does not provide any control or regulation over the cosmetics industry. I thought the purpose of the government was to protect the people from danger – including dangerous chemicals and products. But unfortunately, when it comes to personal care products, that’s not the case at all. Some may say that many of the ingredients used haven’t been proven to be dangerous, and that may be true, but there are many chemicals used in cosmetic products that have been linked to things like allergies and asthma, development and reproductive toxicity, endocrine disruption, and cancer. Others may say that the levels of these chemicals in products are so low that they can’t really have a harmful effect on us. I believe that it is wise to follow the precautionary principle, and so, the reality is, if the government is not going to make sure that personal care products are safe for us to use, we will have to do it for ourselves and our families! 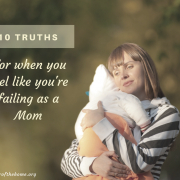 If it feels overwhelming to you to change all of the personal care products that your family uses on a regular basis, I want to encourage you that all it takes is one step, one change, at a time. You don’t have to overhaul your entire bathroom and beauty routine all at once. Start with just one product, maybe the one you use the most, or maybe one of your children’s bath products. Look up the product you currently use on the Cosmetic Safety Database, and if you’re comfortable with the ingredients and the score it receives, you can continue using it, knowing that you’ve done your research about its safety. Check the Cosmetic Safety Database again for natural and safe alternative products that you can buy at the store or order online. 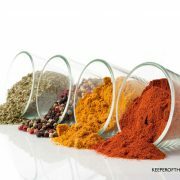 Begin making your own homemade version of the product, so you can control the ingredients that go into it. Once you feel comfortable with your decision about that first product, move on to another product, and walk through the same steps. Keep repeating the process until you are comfortable and have researched all of the products that are a part of your family’s personal care routines. Most likely you will end up using some combination of the second set of options to replace most of your family’s products. For my family, I buy some of our products from safe and natural brands that I am comfortable with their ingredients lists, and I also make several of our products at home; we have found that to work best for our family. 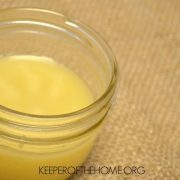 To help you get started with making your own basic homemade beauty products, here’s a list of recipes you can easily make yourself at home. 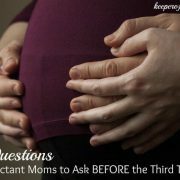 See the posts above on the No ‘Poo Method which includes a conditioning hair rinse. 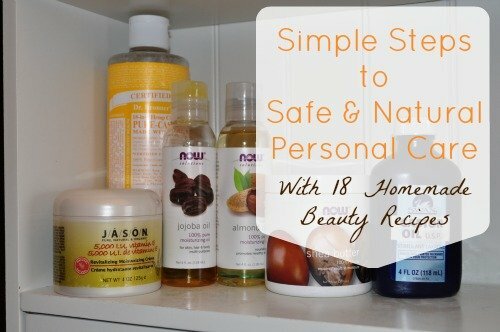 By walking through these simple steps, choosing natural brands, and making your own products at home, you can be sure that the personal care products in your home are non-toxic and safe for your family to use! How have you made changes to your family’s personal care routine? 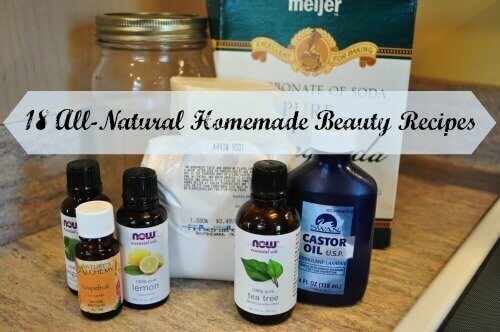 What are your favorite beauty products to make yourself? Next Post: What are the Benefits of Skin Brushing? Is Arbonne on the safe list? I’ve been using that for cleansing my face. My husband prefers no make-up and while I do miss getting “dolled up”, I don’t miss having to worry about ingredients in the make-up! Emily, I love all of the recipes and we use the cosmetic database all.of.the.TIME! It is by far the best product I have ever used. It works great on skin conditions too, like diaper rash. Mystery solved, in my opinion, vegetable oils simply can’t emulate the same results as animal fats. Maybe it is because we are mammals!!! Thanks for sharing this! I’ve begun making my own household cleaners, body butters, and toothpaste and people always ask me why. I’m glad I have a website (Cosmetic Database) now to point them to to draw their own conclusions!! I have yet to make my own shampoo, but will soon — thanks for the info! 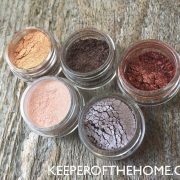 I recently ran out of Bare Mineral Finishing Veil but learned how to make my own face powder by combining cornstarch and cocoa powder. It’s a very good substitute and works almost as well. I also just jumped on the oil cleansing bandwagon and no longer need to buy facial cleansers or moisturizers. 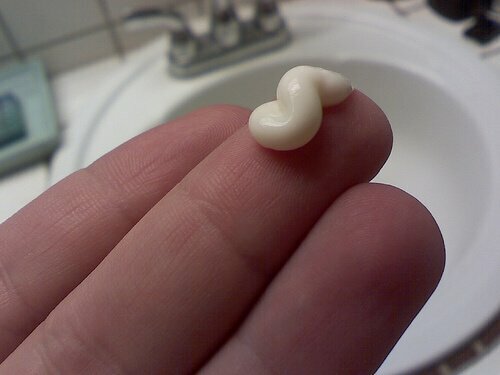 I’ve used MadeOn’s recipe for hard lotion and it’s excellent. I used to buy expensive foot creams to keep my heels from cracking; the hard lotion works way better and is completely natural. Sharing on Facebook with my fans right now. Thanks for the feature, Emily! Warn your readers about this. The link to the Luxurious Lotion Bar isn’t working. 🙁 Is there a different link? I’ve come a long way in this area too, and I love knowing what I’m put on my skin. I use Kiss My Face bar soap for washing, coconut oil for moisturizing (FABulous! ), and a privately made mineral powder foundation. 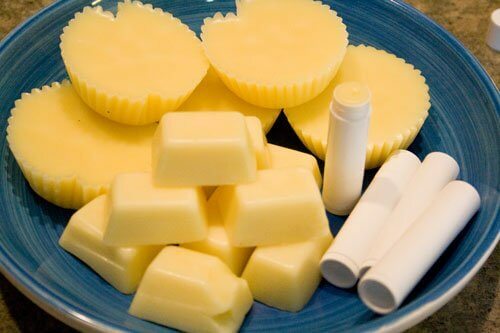 I also made the hard lotion bars like the ones pictured above, and in half of them I used a few drops of peppermint oil. Recently I decided to try using one for deodorant (the new one I had just bought was overwhelming me with its scent and I couldn’t stand it anymore). It works like a charm–I was shocked. I’m sure that different deodorants work differently for each person (like natural bug sprays! ), but for me the hard lotion with peppermint works so much better than the regular stuff. It’s not really an anti-perspirant but it sure takes care of the stink! Shea Butter is the BEST! Its a great moisturizer, antiseptic and sun screen. Prevent sun burn, Shea Butter. Got a sun burn, Shea Butter. Cuts, cracks, dry cracked skin, Shea Butter. It even is a great leave in conditioner for hair! I thought it would be icky greasy like any other oil or butter in the morning and I’ve have to spend 3 days washing it out, it completely absorbed. Aloe and water in a spray bottle is also one of my favorites for a leave in conditioner. No science degree needed here. Just 1:1, and a few drops of essential oil if you like. Dessert Essence, Green Beaver, Weleda Baby Line and Kiss My Face are also really great brands.